Quiz photo credits: Press Photo; Legion Media. 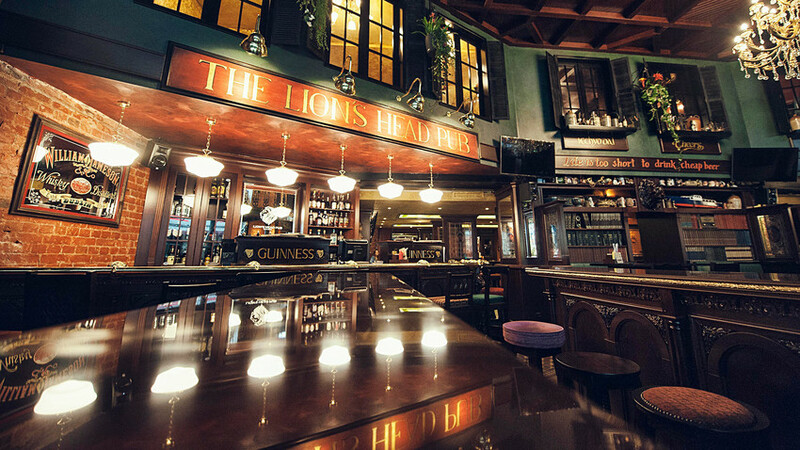 Irish pubs in Moscow go to extremes to resemble their original counterparts. Building a real Irish watering hole or part of a 'Dublin' street in Moscow are just some of the ways to create authenticity. We reckon that after a couple of ales or stouts in one of Moscow’s finest public bars, you’d forget whether you’re in Russia or in Ireland. Wanna try? Together with the Moscow restaurant chain Publife Group we will guide you through the most interesting pubs in the city. Judging by these spots, building a real Irish watering hole away from the cobbled streets of Dublin is easier than it seems. By the way, don’t hesitate to make your own Irish pub tour around the Russian capital, and be sure to find the best quality, comfortable atmosphere, good service, tasty food and craft beer. If you are in the mood to take a pub tour around the center of Moscow and discover some really good places, you could start with the Lion's Head on Myasnitskaya Street, then walk 10 minutes the Left Bank, and then check out the Black Swan, a new, about-to-open pub on Solyanka Street. To get into the mood, you could walk up to Pyatnitskaya Street, where O'Donoghue's and the Punch and Judy are situated. Depending on your state then, you could walk or take a short ride to Bolshaya Dmitrovka to check out the Tap and Barrel.